There is a well known fact amongst fans of Doctor Who, that any story to feature the word, 'Time', it is bound to be terrible. 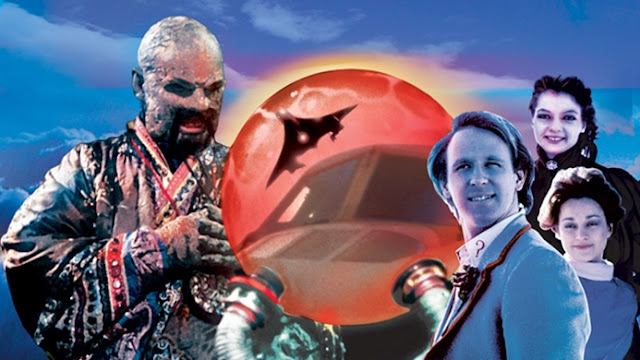 For many fans, Timelash, Time and the Rani, Last of the Time Lords, The End of Time, are but some. There are a few notable exceptions to that unspoken rule, but one thing is for sure, Time-Flight sure as hell, isn't one. 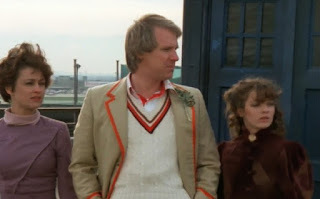 Representing the real, backend of the Peter Davison era, Time-Flight picks up from the beloved death of an unloved companion at the end of Earthshock. It sees the Doctor, Nyssa and Tegan get mixed up in some nonsense about Concorde plans disappearing. In all honesty, it is one of those stories where you won't even be able to remember the plot, nor will you remember why the characters are doing whatever they are doing. Some might even believe that their brains are doing them a favour by blocking the whole thing out. But occasionally, ghastly images might reappear. Of course, what really lets the story down is the lack of budget. By the end of Earthshock, the production team had no money left. It really does look like the production staff were searching the backs of sofas at the BBC for any loose change! The visual effects would have been dodgy in 1982 but in 2017, they just fall completely apart. One feels that if they had gone and filmed on a blasted heath somewhere, then it might look a little better, but the perspective set fails to impress. And don't even get me started on how Concorde was supposed to take off on that cliff ledge! I know it used to be called 'the finest aircraft in the world', but that doesn't mean it should defy the laws of physics. The cast are visibly exhausted and their performances show it, I feel like that they all just wanted to go on holiday.